Product prices and availability are accurate as of 2019-04-22 12:56:24 UTC and are subject to change. Any price and availability information displayed on http://www.amazon.com/ at the time of purchase will apply to the purchase of this product. 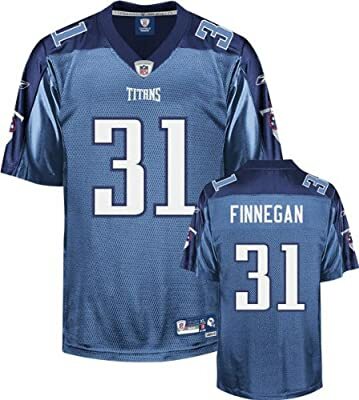 The nylon/polyester Tennessee Titans Premier jersey from Reebok delivers superb value by combining quality and details that approach those of an authentic jersey with affordability rivaling that of a replica jersey. Features raised applique numbers on front, back and shoulders that sport a traditional ''stitched'' look. Includes torso section made of cool, ''breathable'' poly mesh.